The player is the same, but the covering is different. 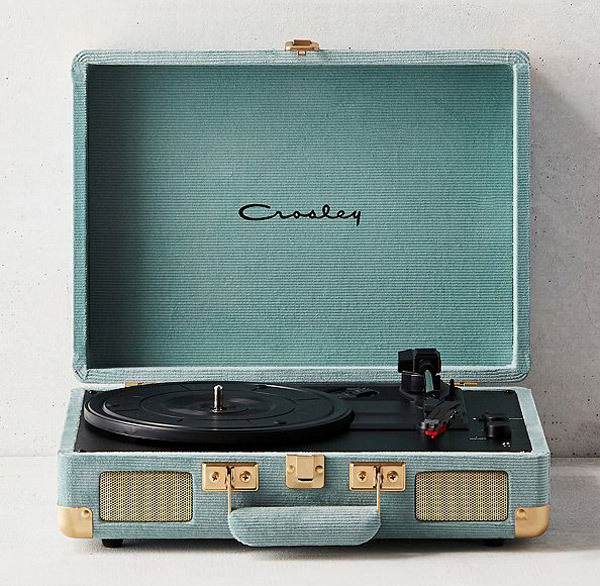 In this case, the Crosley Cruiser record players get a corduroy finish. 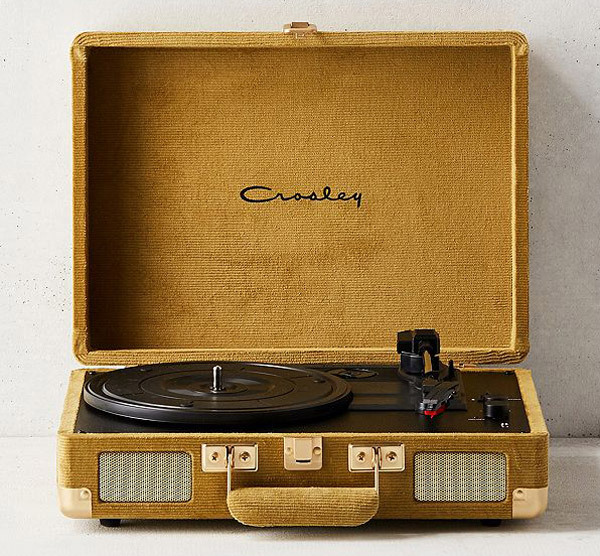 The corduroy record players are an exclusive to Urban Outfitters, so if you want one one, head there. 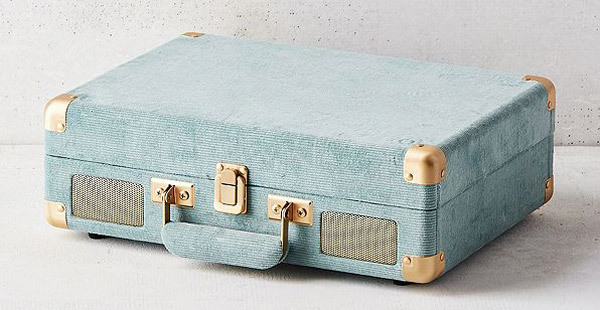 Oh and head there online as it’s an online exclusive too. But that’s only a click if the mouse or a touch of the screen away. There are two players in this mini range, described as a honey and a blue. 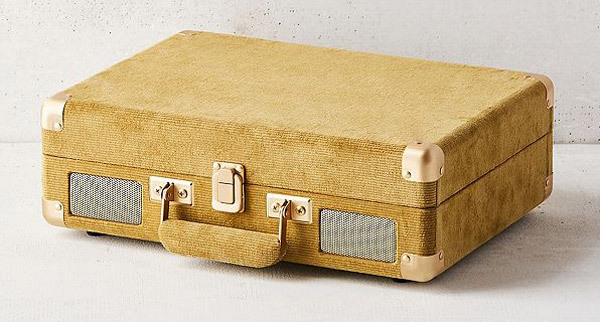 The corduroy covering is certainly an interesting and an eye-catching one, although at the end of the day, it doesn’t make any different to the player itself. But if looks are important, it might seal the deal. 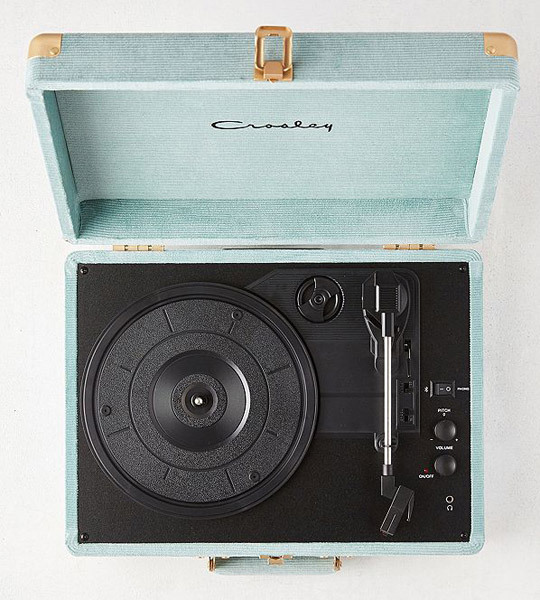 As for the actual record player(s), you get a standard Crosley Cruiser, which is a compact and portable record player, although its portability is restricted to being near a plug socket (it does need mains power). 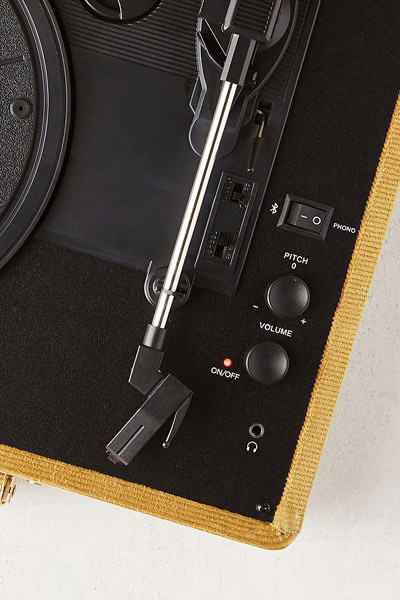 In terms of the functionality, the Cruiser is equipped with Bluetooth for streaming music wirelessly from any handheld device, which is a bonus. 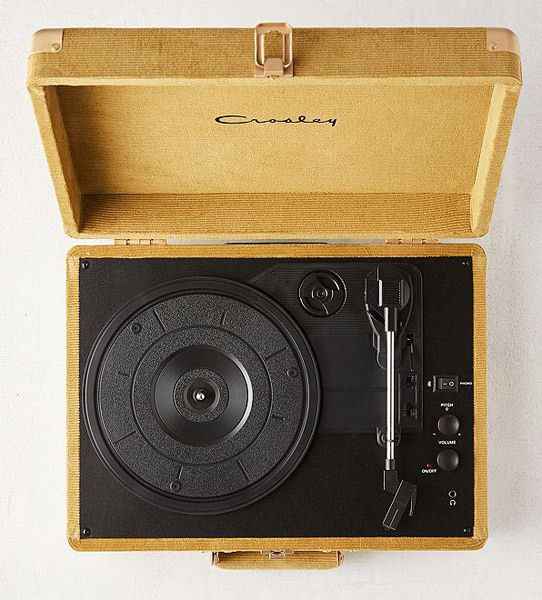 But in terms of its core use, the Cruiser has a belt-driven turntable mechanism, manual return tone arm, three speeds (33, 45 and 78rpm), built-in stereo speakers plus a headphone jacket and RCA power out. It also has a price tag of £100, with both colours available to buy right now. Update: There is also a ‘rose’ version of the player available now too.